You can wear anything that you feel comfortable in—whether that is a t-shirt or a tie, we want you to feel at home. We are much more concerned with what happens on the inside than what you wear on the outside. We gather every Sunday at 8:30A, 10A, 11:30A, 1P, and 6P. Joining us for the first time? 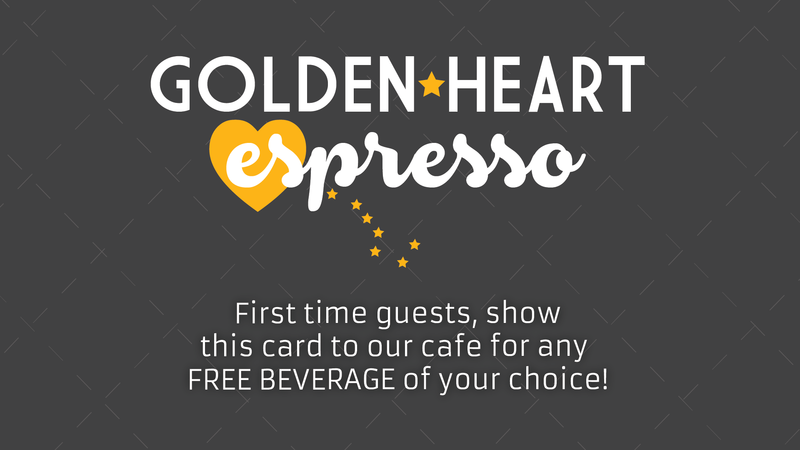 Present this coupon at our cafe for a free drink of your choice on us. Then head on into the auditorium for our worship service! The music at True North is contemporary and lively. You will find a full band including drums, guitars, bass, keys and vocals. We glorify God through songs that are current and easy to follow along with! The first core value at True North is we are a Bible Church. Messages at True North include relevant Biblical teaching that applies to your life right now! Check out some of our recent messages here. During all of our Sunday gatherings, we provided a safe place for children 3 months - 5th grade to come and engage in worship, make new friends, hear messages that help them connect with God and respond to Him. Our check in system provides safety and security for every child. We also provide a mothers nursing room located at the back of the auditorium. Click the button below to pre-register your kids so we can prepare for you! True North Youth offers several engaging opportunities for 6th-12th Graders every Sunday! During the 8:30A gathering, YOUTH 678 exists to connect all 6-8th graders in an engaging environment. YOUTH Nights are Wednesdays at 7P for all 6-12th graders! During every Life Group session at True North Church, there is a high school only opportunity as well! Be sure to check out the Life Groups page, for more details!